In the debate about the theological validity of Christian universalism one sometimes finds discussion about the meaning of the word “eternal” in Matthew 25:46. Christ there says plainly that the unrighteous “will go away into eternal punishment”, and the word here rendered “eternal” is the Greek aionion [αιωνιον]. Some suggest that the word simply means “age-long”, indicating that the punishment of the unrighteous will endure for an age and then come to an end, and they point out that the root of the word is aeon [αιων], meaning “age”. What are we to make of this? Sometimes the word αιων does indeed mean “age” in the sense of a limited duration of time which comes to an end. Thus St. Paul in Romans 16:25: “God…is able to strengthen you according to my gospel and the proclamation of Jesus Christ, according to the revelation of the mystery that was kept secret for long ages [Greek αιωνιοις] and has now been manifested”. We see here that the word αιων means a limited duration of time, since the ages of time when the mystery had been kept secret came to an end when Christ appeared and was proclaimed by the apostles. Accordingly, one of the meanings of αιων in the Arndt-Gingrich lexicon is “a segment of time, age”. It can also mean “a world” as a spatial concept. Thus Hebrews 11:3: “By faith we understand that the worlds [Greek αιωνας] were created by the Word of God”. But it can also mean everlasting, and as such it is applied to God and His dominion and power over all the cosmos, such as in 1 Timothy 6:16: “To Him [i.e. God] be honour and eternal [Greek αιωνιον] dominion”. Presumably God’s dominion is unending and everlasting. The debate about the precise meaning of aionion therefore cannot be solved simply by consulting a lexicon. The word varies in its meaning according to its usage. Christ, of course, did not speak in Greek to His disciples but rather Aramaic, and the thought forms He used were those of first century Judaism, and it is to this culture therefore that we must look if we are to understand His words in their original context. In that conceptual universe, we find reference to “the age to come”. The world and its epochs were divided into this age and, after a decisive intervention by God, the age to come. Thus in the Pirke Aboth, the Sayings of the Fathers, we read, “Great is Torah for it gives to those that practise it life in this age and in the age to come” (6.7), and the saying of Hillel, “He who has acquired words of Torah has acquired for himself the life of the age to come” (2.8). We see the same division into the two ages in the Book of Enoch: “And he [an angel] said to me: ‘This is the Son of Man who is born unto righteousness…He proclaims to you peace in the name of the age to come” (chapter 71). For Christians the decisive divine intervention separating the two ages is the Second Coming of Christ and the resurrection of the dead—Christ’s return will divide everything into two unequal parts: this present age which is under the sway of death and injustice, and the age to come which will be under the rule of God. Placed in this context, we can see that the word aionion in Matthew 25:46 means “age” in the sense of “the age to come”. Existence in that age to come will be qualitatively different than existence in this present age, for there will be a profound asymmetry between the two ages. For one thing, at the start of the age to come all the dead will be raised and restored to their bodies, so that life and death as we understand and experience them will be qualitatively different. Existence then will not simply be a prolonged version of existence as we experience it now. The aionion life of the righteous will not be simply unending. It will not be like our present mode of existence with the only difference that it will stretch on forever. As the life of the αιων to come, existence will indeed be unending, but for the righteous it will also partake of the immortal joy which will then fill that transfigured cosmos. And, says Christ, for the unrighteous existence will involve punishment—punishment that also partakes of the quality of the age to come. Like the life of the righteous, it will be unending. But it will be unending because it occurs in the age to come, and partakes of the coming age’s transfigured and eschatological quality. Note: both the life of the righteous and the punishment of the unrighteous are described with the same word aionion. The fates of both groups culminate in the age to come, and both groups partake of that age’s intensity and eternity. In the ongoing debate about the eternity of hell, this parallelism between the two groups must be given its due weight. We may see now why the Greek word aidios, “unending”, was not used to describe either the life of the righteous or the punishment of the unrighteous. If the word αιδως were used, one might imagine that the issue was simply one of duration, and that our Lord was saying that that the righteous will live unendingly and the unrighteous will be punished unendingly. The stakes are higher than that. The righteous will not simply live without end, but will live with all the joy which will characterize the age to come. And the unrighteous will not simply be punished without end, but punished with all the immortal severity which will characterize the age to come. It is the quality of the age to come—with its intensity both of punishment and joy—that is stressed, not simply its endless duration. Or consider the contrasting fates of the righteous and the unrighteous from chapter 103 of the same Book of Enoch: “And the spirits of you who have died in righteousness shall live and rejoice and their spirits shall not perish, nor their memorial from before the face of the Great One unto all the generations of the world…Woe to you, you sinners, when you have died if you die in the wealth of your sins…Into darkness and chains and a burning flame where there is grievous judgment shall your spirits enter and the great judgment shall be for all the generations of the world”. This kind of apocalyptic literature formed the conceptual prism through which our Lord’s words would have been understood. There is no hint of a final salvation for sinners present in such literature. Christ therefore would have been understood as offering no such final hope to sinners either. The Greek word aionion means “partaking of the age to come”, both that age’s intensity and eternity. The stakes are very high, for both immortal joy or immortal horror await us children of men in the age to come. Reducing those stakes by introducing a hope not offered by Christ does not simply violate the meaning of this passage. It may also prove dangerous. Christ spoke in such a way as to motivate our run to righteousness and our avoidance of impending danger. We have no right to blunt His urgent warning. What do you make of Paul’s ages to come vs the olam ha-ba of the Jews? I think the nub of Carol’s question was the *plural* number of en tois aiosin tois eperchomenois (Eph. 2:7). I’d also appreciate your specific answer to that, as it does seem in tension with your insistence that it is wrong to conceive of the age(s) to come as anything but single and singular. Thank you, TW, for the clarification. Sorry to have missed the point of the question. I would agree that the ages to come are plural (hence the “ages of ages”). My main point was that the phrase “the age to come” (sometimes translated “the world to come”) points to a division between this age and what will exist after the Second Coming. Here we experience this age and after the Second Coming the “age to come”, with its endless succession of ages, every one of which differs qualitatively from this age. In the NT material we find no suggestion that any one of those succeeding ages will differ qualitatively from one another (with one of them, for example, witnessing a final apokatastasis). “As for the NT, the points that could be interpreted as teaching an eternal damnation, and therefore contradicting the theory of apokatastasis, consist in the few passages that mention a πῦρ αἰώνιον, a κόλασις αἰώνιος, a fire “that cannot be quenched” and a worm that “does not die” (see, for instance, Matt 18:8–9; 25:41). Now, such expressions, rather than signifying an infinite duration, indicate that the fire, punishment, and worm at stake are not those of human everyday experience in this world, in which fire can be extinguished and worms die, but others, of the other world or αἰών. The adjective αἰώνιος in the Bible never means “eternal” unless it refers to God, who lends it the very notion of absolute eternity. In reference to life and death, it means “belonging to the future world.” It is remarkable that in the Bible only life in the other world is called ἀΐδιος, that is, “absolutely eternal”; this adjective in the Bible never refers to punishment or fire in the other world. These are only called αἰώνια. 21:33, and this not for its intrinsic meaning, but for the characteristic of God. eternal in the absolute sense. And this eternal blessed state is opposed to the destruction of the tyrant, the persecutor of the martyrs, in the world to come: τὸν αἰώνιον τοῦ τυράννου ὄλεθρον (ibid.). These parallel but antithetical expressions, βίος ἀΐδιος and ὄλεθρος αἰώνιος, are particularly notable and inaugurate a distinction that will return again and again, not only in the NT, but also in many Fathers. Isaac, it is difficult to respond fully when the comments section is burdened with three pages of text. To deal with it adequately would require a similarly long reply, and this is not the purpose of this comments section. I will therefore make a brief response. Ramelli writes, “The fire, punishment, and worm at stake are not those of human everyday experience in this world, in which fire can be extinguished and worms die, but others, of the other world or αἰών.” I agree. But since that world goes on forever and not does end (even as the life of the righteous in that world also goes on forever and does not end), then the fire, punishment, and worm of that world goes on forever as well. If the fire ended, it would not be unquenchable; if the worm ended, it would not be unceasing. The punishment of the unrighteous partakes of the unending quality of the other world to come. This is consistent with the parallel use of the word aionion to describe both the punishment of the unrighteous and the life of the righteous. Such parallelism demands that the same qualities (such as eternity) be applied to both (as Augustine once pointed out). My question therefore is: Will the age or aion to come have an end? If not, then both the life of the righteous and the punishment of the unrighteous will not end either. I also note that interpreting aionion punishment in the sense of only “age long” punishment is contrary to the notion of punishment in the age to come as found in the apocalyptic literature, which must function as part of the cultural lens through which we understand Christ’s words. Isaac, I would encourage you to get your hands on the Theological Dictionary of the New Testament. In the entry for this word, the one word definition is simply “eternal”. It points out that Plato used the related word “aion” in reference to “timeless eternity in contrast to chronos. It says of “aionios”: “An adjective meaning “eternal”…” And beyond that, I think Metropolitan Hierotheos (Vlachos) knows Greek pretty well, and he takes that word in the same sense. And I certainly hope that Israel is God’s eternal possession, because that is the Church. Do you think there is a time when it will cease to be his possession? Fr. Lawrence I can’t help but feel like you missed her argument. I recognize that quotations from her work on the topic of aionion are rather lengthy and that is actually but a fraction of what she has written on the linguistics of the word, none the less you still disagree and offer little consideration for what she is actually saying and continue with the same rhetoric. I will try to shorten the argument. The argument from what I can tell is an ontological, and metaphysical argument grounded in scripture. She goes to great length to demonstrate in the OT how Eternal Life is only attributed to God because God is the only being who is metaphysically transcendent. Evil is a privation of good which I hope we can agree is derived consensually from the Fathers, and derived from Scripture itself. Evil has no Ontological Substance it is Non-Being, Non-existence, DEATH. Perhaps we can also agree that Death coming into our world was a consequence or an naturally unnatural end of Sin rather than a Retributive Punishment inflicted on humanity by it’s Creator. Which from my understand is a major difference in how Orthodox and Catholics understand the fall (non-Augustinian understanding of the fall). To take on your interpretation forces me into a dualism of good and evil that exists for all eternity. This creates serious problems for 1 Cor. 15 and Christ’ destruction of the final enemy namely “Death”. In addition punishment in the world to come in the NT not only is described exclusively as aionios (long lasting, for an age) and never in the more strict philosophical term aidios (eternal), but is invariably indicated by kolasis (chastisement, correction) and never by timoria (punishment, penalty). In Jude 7 the fire that consumed Sodom is declared to be an example of the aionios (agelong) fire that is, the fire in the world to come. This cannot mean “eternal fire,” given that the fire that consumed Sodom and Gomorrah did not burn eternally, but it lasted only very little. The point is that it was not the fire of this world; rather, it was that of the other world, sent by God to destroy evil. I’ve heard you say in my comments on “The morality of Gehenna” that the only arguments put forward aren’t exegetical but philosophical. I think this creates an unnecessary dichotomy as if philosophy and exegesis are at war with one another. The term aidios is in fact a philosophical term that carries with it philosophical meaning yet Paul the author of scripture saw fit to Christianize this philosophical term when speaking of the power and divinity of God and at times even in reference to the angels (Jude 6). The Fathers in fact do the same thing with Platonism. The misunderstanding of aionios as “eternal” was facilitated by Latin translations of both aionios and aidios with aeternus. This blurred the difference between those two crucial Greek terms and certainly played a role in the rejection of the doctrine of apokatastasis which is the broader topic at hand. Human beings do not live through an entire duration of the present universe, but in single generations. So it is a mistake to apply eternal realities to finite creatures and a greater mistake to apply eternity to death which is the very antithesis to life. I think once you are willing to accept that you argue from a philosophical, metaphysical, and ontological hermeneutic our discussions will be more productive, but at this point it is impossible to dialogue with you when you deny that you do this or when you rule philosophy off limits. Isaac, once more an exegetical discussion veers off into a philosophical one without adequately dealing with the exegetical details. We have yet to deal with the textual fact, long ago mentioned by Augustine, that the same word aionion is used to describe both the punishment of the unrighteous and the life of the righteous. If the word simply means “age-long” then how can the life the righteous not be merely “age-long” as well? I do not deny that aionios means “pertaining to the age to come”; I only assert that this also involves eternal duration–an eternal duration both for the righteous and the unrighteous. As regards Paul, death is destroyed at the Second Coming, according to 1 Cor. 15, in the sense that all will be raised up and bodies will no longer die. Paul’s words here cannot be interpreted to mean that the punishment of the wicked, defined as “death”, will come to an end. By “death” he here means the biological reality we all know, as the earlier part of that chapter makes clear. It is improper to here define “death” in a way differently than Paul used the term in this passage and then apply his words in such a way as to make him address issues he never addressed in that section. I won’t spend much time dealing with your comments on 1 Cor 15 except for that I agree with you, but I don’t think that text is limited entirely to your interpretation of it; I agree it is a true reading, but there is a second death post-mortem that is mentioned in Revelations that could hold baring on our understanding of 1 Cor 15. Yet Ramelli deals with this in great detail, greater detail than you feel is allowed for in this exchange. What appears to me is either 1.) you wish to diminish the complexity of the linguistics at hand or 2.) you should admit a blog is insufficient in dealing with the textual, and linguistic issues and complexities concerning aionion. Why do you place so much emphasis on St. Augustine’s translation of aionion in regards to punishment of the unrighteous? Is it possible that the latin translation he had at his disposal since he wasn’t familiar with the Greek limited his ability to translate aionion properly? Do we agree St. Augustine mistranslated Romans 5 which led him to teach inherited guilt due to the Latin mistranslation he was working with? It seems we agree that aionios can mean “age-long” and that it doesn’t mean “eternal” in the strict sense in every use of it, but you seem to be missing the fact that St. Augustine didn’t have two greek words to work with here. He had only aeternus which was the latin translation of two differing greek words aionios and aidios. His understanding of the Greek word aionios was limited at best by his own admission of not knowing Greek. Aionios carries with it multiple meanings and doesn’t mean eternal in the strict sense whereas aidios in the strict philosophical sense means “eternal” and in every use of it in the NT it is applied to God or in one instance to Angels in Jude 6 as I mentioned before. Two things here Father, the strict sense aidios which always means “eternal” is never used alongside punishment in the NT and the punishment indicated in conjunction with aionios is always kolasis which is correction or chastisement not punishment or penalty (timoria). According to Aristotle kolasis “is inflicted in the interest of the sufferer,” where as timoria is inflicted “in the interest of him who inflicts it, that he may obtain satisfaction” (Rhet.1369b13). The same was indicated by Plato in Gorg. 476A-477A, in which kolasis, provided that it is just, is described as good for the person who is chastised, in that he becomes better. So Father I have dealt with the textual fact that aionion is used alongside kolasis but I’ve also offered what it actually means according to Greek Scholars as opposed to St. Augustine. So one last question, let us just say we were capable of entering into the scriptural authors minds for a moment, why would they use a word that doesn’t always mean eternal in conjunction with a word that means correction or chastisement when they had a perfect word aidios that always meant eternal at their disposal? It seems on a matter as serious as the eternal destiny of the souls of the unrighteous they would want to use a word that offered greater clarity wouldn’t they? Unless of course the word they used could mean something other than eternal. By virtue of using aionion the text has a flexibility that aidios wouldn’t have given it. Also why would they use a word like kolasis which actually doesn’t mean punishment in the retributive sense but correction and purification alongside it? Are the righteous going to suffer correction eternally? Given the ontological considerations of evil I’ve given you before it’s makes perfect sense for aionion coupled with kolasis to mean temporary or age-long correction or chastisement, and for aionion coupled with life in (Christ) to mean eternal life given the ontological implications of being in union with Life or with Christ through theosis. I haven’t heard you deal with kolasis either you continue to use the word punishment when the actual greek words that is used alongside aionios isn’t timoria but kolasis. Ramelli does not deal with my question in the long section you cited: namely, (to repeat again) since the same word aionion used of both the life of the righteous and the punishment (however defined) of the unrighteous, and since the life of the righteous is eternal, how then can the punishment of the unrighteous not be eternal also? Augustine’s translation of the word has nothing to do with this question; I only mentioned him because (as said in my original pieces) he calls attention to this parallelism. To understand how Christ’s original hearers would have understood these issues of 1. what was involved in kolasis and 2. whether or not the kolosis of the unrighteous (and life of the righteous) were in fact unending by virtue of their occurring in the endless age to come, we need to read the apocalyptic literature of that time. Such literature (and the common opinions of the Pharisees) reveal that they would have understood these things in much the same way as Chrysostom and Augustine later understood them. The first steps of exegesis involve putting the original words and stories in their original sitz im leben. This seems not to have been done in these discussions. Isaac, can you cite all of the Fathers who interpret the parable of the sheep and the goats to mean that that the life of the righteous will be everlasting in a different sense than the punishment of the wicked? That would be a very short list, because I am pretty sure you will not find a single one. So now we are appealing to the Pharissees apocolyptic exegesis to properly understand the Greek word in question? We should appeal to a group of Jews who got Jesus wrong over and over again for a true reading? This makes absolutely no sense Father. What about Philo, or Josephus you know Jewish contemporaries that were actually used by the early church? I agree we must put the original words in the original setting and I actually offered meanings of the greek word kolasis in contemporary works such as Plato, and Aristotle who were fluent in greek, but even then it has to be reconciled to the greater narrative of scripture and read through the lens of Christ. Let me repeat what I’ve already said. The greek word kolasis simply doesn’t mean punishment in the sense that you have tried to use it or in the sense that Augustine used it. It’s a punishment that comes from a Father that is for the good of the Child in a relational sense, it isn’t retributive if it was the greeks had a perfectly good word for that type of punishment and it was timoria. If aionion was used with timoria your interpretation would be far more tenable but since it isn’t perhaps you should reconsider. Perhaps we should look at Clement of Alexandria who wrote extensively on the difference of aionion as opposed to St. Augustine who didn’t even speak Greek. Who says exactly the same thing I’m saying in his work Stromas (which I will have to dig up to find). Your logic is entirely circular hear father. One minute you contend with Philosophy and state that it can’t be used to engage with Scripture, and now you are not playing by the very rules you set forth. You are appealing to historical textual criticism now which is in fact a philosophical system to arrive at a proper understanding of the greek word aionios in question. I mean no disrespect Father but your arguments are just all over the place. I feel as if I’m in the arena with a man who makes all the rules, demands I abide by them while continuing to break them repeatedly in front of me. So please tell me does kolasis not mean chastisement and correction? Does it mean something else? Can we at least agree to rule out St. Augustine’s observation considering he was so far removed from the linguistic complexities of the word in question due to the Latin translation he had which translated two greek words that had differing meanings into one word? If we can concede that to be true his observation is a non sequitur. Just one final comment before I close this interesting thread, which despite many words seems no closer to resolution. My reason for looking at the Pharisees’ view of the nature of the age to come and its rewards and punishments is that they (along with apocalyptic literature such as the Book of Enoch, a more primary source) form part of the Sitz im Leben necessary to understand our Lord’s words in their cultural context. Our Lord shared much in common with their understanding of the age to come, as did Paul, who was a Pharisee as well. The Pharisees’ view of the age to come can therefore help elucidate what Christ (and Paul) meant, since they shared much in common about beliefs regarding the age to come. Looking at the cultural context of NT is not philosophy, but is properly part of the exegetical enterprise. To conclude by answering your final questions: the meaning of kolasis must be determined not just by lexical considerations, but also by cultural ones. As for Augustine, his point (and mine) never did involve linguistic complexities of the word aionion, but simply the fact that the same Greek (not Latin) word is used to describe both the life of the righteous and the kolasis of the unrighteous. His observation of this parallelism thus remains relevant to the discussion. Thank you taking so much time to write. Though I am drawing this thread to a close, perhaps we could finish by resolving to pray for each other’s loved ones, both your father and my father-in-law. God bless you, Isaac. Father thanks as always for your charity and I mean no ill will towards you, I will gladly pray for your father-in-law. If I may offer one last final comment and observation. I know in many cases it has become the knee jerk reaction to say to converts they are carrying over Protestantism into Orthodoxy so I’m reluctant to say this, but what you seem to be doing is exactly that. Exegetically you are applying a hermeneutic of historical textual criticism which is a modern concept and not rooted in the actual way the early Christians or Jews did exegesis. I don’t wish to dismiss this hermeneutic entirely but as Fr. John Behr suggests it has it’s limitations and apart from a “first principle” namely the passion of Christ as our starting point the hermeneutic you offered offers little if any value. Clement of Alexandria which was only one generation removed from Christ and spoke the language, would have been familiar with the culture and was the father of the Alexandrian Christian School of thought which produced great minds of the church and we can hear distant echoes of Alexandria in the writings of St. Basil, Gregory of Nyssa, Gregory of Nazianzus, and even as well in the works of St. Augustine in his work against the Manaicheans offers us some insight on the word in question. If I may offer it for your reflection. This important passage is very instructive in the light it sheds on the usage of Greek words. The word from which “corrections” is rendered is the same as that in Hebrews 12:9, “correction” “chastening” (paideia); “chastisement” is from kolasis, translated punishment in Matt. 25:46, and “punishment” is timoria, with which Josephus defined punishment, but a word our Lord never employs, and which Clement declares that God never influcts. So that even if aionios meant endless duration, Clement would argue that it was used as instruction–to restrain the sinner. It should be said, however, that Clement rarely uses aionion in connection with suffering. It only “forces” (you and Hart) into a dualism because you are looking at the mystery of Eternal Life in a dualistic fashion (namely from the dialectical perspective of good and evil). You begin your theology with good and evil, and thus you end either with a good vs. evil dualism in God Himself (and you rightly reject this) or you end up with a God who *by dialectical necessity* can not “risk hell” as Hart says (it would be “semantically meaningless”). This is all good philosophy, but it runs up against the Christian story where God does indeed create Persons (and persons transcend good and evil – we “know” good and evil thus we are something infinitely more than a dialectic of good and evil) and risks all, everything, even His Son and Hell. I’m assuming your comments are directed towards me so I will do my best to respond. I must confess I’m having difficulty following your argumentation, but will do what I can to engage your arguments. In regards to my emphasis on punishment the reason I’ve spent a great deal of time emphasizing the word “kolasis” which is used along aionion is because it helps to qualify or inform the reader of the proper usage of aionion and it’s more probable meaning. Fr. Lawrence and I along with the lexicon agree that aionion doesn’t always mean “eternal” in the strict sense as aidios the philosophical term does. So my entire point is since we agree that aionion has the felxibility to mean “age-long” or “eternal” how do we distinguish in the case of Matthew 25:46 what aionion means unless we examine kolasis? What is the purpose of “Kolasis”? I demonstrated both in Plato, and Aristotle the use of Kolasis as benefiting the one receiving it. I also demonstrated Clement of Alexandria’s understanding of Kolasis as well as the term aioion as I’m sure you have noticed. I also explained how the Latin translation of aionion and aidios were translated into one latin word not carrying the same flexibility as the Greek. Which helped to explain how St. Augustine could have misunderstood Matt. 25:46 since St. Augustine was used by Fr. Lawrence as an example for understanding the passage and Greek term in question. I believe defining terms is critical when we try to present an argument for our position. The English language in regards to the word “punishment” doesn’t provide for us the depth or flexibility of kolasis, timoria, or paideia. So even if aionion in Matthew 25:46 does mean eternal the qualifier kolasis helps us see the purpose of this punishment or if you will correction. It is for the benefit and healing of the unbeliever. This only makes the case for Universal Restoration stronger not weaker. In regards to your comments on Hart and myself if I understand you properly, I would say that you are seriously misrepresenting or misunderstanding my or more precisely Hart’s argument. I do not start with a duality of good and evil. That is not my starting point, and from all of Hart that I have read that is not his. The starting point is Creatio ex nihilio, which is revealed through Scripture not my own philosophical or moral presuppositions. The philosophical argument is not from a creation created in a duality of good and evil but creation from nothingness that is created in the image of God and is “Good” i.e. the doctrine of creatio ex nihilio. Lastly you stated “trying to grasp the Christian story, thus you when you can not sum Hell (and no one can) you try to remove it from the story ” this is a gross misrepresentation of a Christian Universal Apokatastasis. Origen, Nyssa, Isaac, Clement of Alexandria, et al. never tried to remove Hell from the Christian Story nor am I. Rather hell was not taught or understand to be an eternal age, but rather age long and for the benefit of the unbeliever as a mode of purification. None the less a dreadful place upon which I would desire no one to spend even a second experiencing. It might be more helpful in the future if you will actually learn your opponents position rather than offering gross misrepresentations and accusative rhetoric. You (and Hart) argue that this leads you to escape a dualism found in Augustine and the like but it is simply a different flavor of a moral dialectic – you just prefer the Orgenistic/Platonic taste of an unchecked/unbalanced Alexandrian school over Augustine’s “latin” forensics. Sure, your dialectic is smothered in a Orgenistic ontology, but it is there and this is why you are doing “philosophy” and not Christianity. I did not state that, I am stating however that *your* philosophy is antagonistic to the Christian story. Your presupposition(s) are derived from a platonic (namely Origenistic) ontology about the “goodness” of God and what that means. As is usually the case with such errors, at the root is a theologizing that starts with an attribute of God (in this case “goodness”) instead of Him (i.e. Person). This is an easy one – because God, Man, Creation, everything comes first. The “Philosophical Absolutes” that you begin with (and thus end at) are a species of the dialectical reasoning of man. What is man’s current ontological condition? One of “falleness”, thus Truth (who is a Person) has to “break into” our state (in this case our fallen minds). I (and the Tradition) do deny this – to the extant that a dogma is a “formula” or a “propositional statement” it of course is part of the dialectic and our “minds”. However, as you note it is subservient to a “knowledge” that is not a dialectical proposition (it is thus a first principal or “faith”) and in that sense “borrows” or “uses” dialectical reasoning for its own end. It serves to delineate Tradition against errors and to serve as an aid for us to see “the Spirit of Truth”, it is not a substitute for said “Spirit” in of itself. Exactly. In your universalism, Theology has become the handmaiden of Philosophy and thus you in the end don’t really need the Christian story. Why? Because universalism is a sum of a moral calculus that “solves” the “problem” of good and evil” (and eternal Hell) all on it’s own and does not need God – not the Personal God of the Christian story just a platonic god that is a simplicity (in this case “Good” as such). Thus, if this modern universalism ever catches on your heirs will (rightly) chuck out Christianity altogether because it is simply an insignificant remainder of the calculus. One does not need to be a prophet to see this, just capable/willing it to its logical conclusion. What will you do when you stand in your local church this coming Sunday of the Last Judgement with these “infernalist presuppositions” that we sing? You will have to hypocritically re-reinterpret them in a purgatorial-to-univeralsalist philosophy. Don’t get me wrong, I too am a hypocrite and stand in it every time I walk into church, however in this case I am not making a philosophy/theology of it “in knowledge”. As Hart, Doestovsky’s Ivan, and our Lord all note the “problem of evil” and hell is a hard hard dilemma for our *moral* consciousness. I propose the way out is in fact the Tradition, which places our and God’s Personal ontology above a dialectic of good and evil. We “know” good and evil – universalism says we (and God) ARE good (as it negates evil). And we are (God willing) good and God is good, but this is not the end of His “content” and any theology that begins and ends with this attribute is going to come up short. Thus, the Tradition retains this knowledge (the Personal) and this is why the Orgenistic line is not the end all and be all of “the Fathers”. Of course, the Alexandrian school has the tendency to go off the rails in just this way, and so Antioch was there (a work of the Spirit of Truth) to keep it in check. For various reasons, certain of us moderns are easily seduced by the excess’s of the Alexandrian school. I suspect this has something to do with the cultural soup in which we all swim (currently on a violent rebound from an overwrought Augustianism in both RC and Protestant traditions) but this is only a working theory. By the way, I would gently suggest you go back and read Hart more closely – he actually admits this (thus his statements about the futility of subjecting God to a moral interrogation) but can’t quite escape his own logic. This is why Hart is head and shoulders above the majority over at Fr. Aidan’s blog and why he is the intellectual and spiritual leader of the current universalist brigade. Like all good leaders, he sees the road ahead a bit better than the followers. My apologies for a delayed response I’m not following this particular blog thoroughly. Thank you for engaging and clarifying your position and dealing directly with most of my objections. I enjoy the challenge which causes me to dive deeper and engage the subject material at hand however what you focused on primarily is unrelated to the content of the blog specifically the Greek term aionion so perhaps you can address that at some point. One unnecessary statement you made is “This is why Hart is head and shoulders above the majority over at Fr. Aidan’s blog and why he is the intellectual and spiritual leader of the current universalist brigade” Fr. Aidan would probably agree as well as those commenting on his blog that Hart is head and shoulders above us all. I know I would agree but this comment seems a bit crass considering DBH has engaged quite regularly on Fr. Aidan’s blog agreeing or clarifying rather than correcting Fr. Aidan and those commenting. I am a bit unclear about the logic you are referring to exactly. Perhaps you could offer some clarity? For me the first principle about the nature of God and his “goodness” is derived from the christian doctrine of creatio ex nihilo. Creatio ex nihilo is not a secondary category but evidence for the weight of my first principle. First Principles are impossible to prove. They must be taken on faith otherwise one is left with infinite regress. You may disagree that it is a correct first principle and present evidence for your disagreement however that doesn’t change that the very moral dialectic in my mind is derived from Scriptural Revelation in the creation account. You are correct in saying that I begin with a moral understanding of his “goodness” however this moral understanding is derived from Scriptural Revelation. How I and every human being understands and interacts with Scriptural Revelation is another topic all together and our philosophical presuppositions become evident the more this conversation progresses. We may disagree philosophically but for you to contend you don’t have a philosophical approach is a non sequitur which makes dialogue next to impossible. What is missing from your argument is an awareness of your own philosophical hermeneutic applied to creatio ex nihilo expressed in your resistance to Philosophy as a whole by way of your statement that my ‘good Philosophy is antagonistic to the Christian Story’. Something you have stated quite plainly and now seem to be stepping back from and labeling it as “my” philosophy rather than “good” philosophy. As far as ontology is concerned the ontology I’ve presented is not primarily Origenistic but is shared among many of the Fathers as well as how the Orthodox Church understands the effects of Sin and how the Church defines sin. Patristic and medieval thought (drawing, admittedly, on Platonic precedent) defined evil as a privation of the good (not forensic): a purely parasitic and shadowy reality, a contamination or disease or absence, but not a real thing in itself. Not as part of creation itself. This, incidentally, is a logically necessary claim if one understands goodness and being as flowing alike from the very nature of God and coinciding in him as one infinite life. This “goodness” or state of being is rooted in the very essence of God and I see no necessity to draw a false dichotomy between God’s person-hood revealed in Christ or His essence revealed in the creation narrative. You state that because I have Philosophy I don’t really need the Christian story. This is a gross over simplification and misrepresentation of my actual position and perspective. I absolutely need the Christian story my “first principle” is Christ apart from the revelation of Co-Suffering Love, Grace, and Enemy Love revealed on the cross I am left only with my fallen nature as the lens in which to distinguish my own personal worldview. I’m left creating a god in my own image who repays evil for evil, is unforgiving, and wreaks vengeance on my enemies. 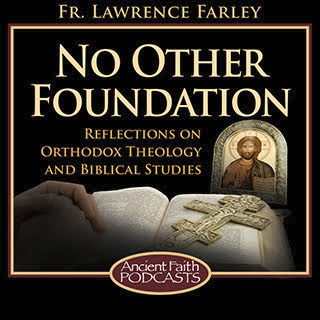 “Of course, the Alexandrian school has the tendency to go off the rails in just this way, and so Antioch was there (a work of the Spirit of Truth) to keep it in check.” You do realize that the Antiochian school was Universalistic in it’s theology don’t you? This statement is broad and the only thing I’ve seen you do at this point is make broad characterizations. I don’t pretend to represent Hart and I’m sure at times I misunderstand him and I think any honest person will admit to that but so far your arguments are not at all convincing and your accusations concerning my lack of necessity for the Christian story is down right offensive. As far as DBH and his participation on Fr. Aidan’s blog, I am only an occasional lurker there (I think I have posted twice if memory serves over the last couple years) as it is now simply a place where universalists re-enforce each other and this error IMO. I do however recall DBH’s rather crass treatment of Fr. John Whiteford – it was on that thread that I first saw the Tradition called “infernalist”. DBH owes Fr. John an apology. DBH is clearly aware on one level that to morally interrogate God or to theologize on a moral (which is a dialectical) level is insufficient to the Christian understanding. However, in the end this is what he is doing. Not in a simpleton way, rather in an Orgenistic way. Origen is famous for his confused use of Platonic reasoning. In the end, it leads to a privileging of the attributes of God (such as His “Goodness” in this current conversation) above His Personhood. This reduction leads to a theological method (Origenism is a method rather than a specific statement of Platonic presuppositions) that “traps” God into a dialectic and the use of ideas that are reductions/simplicities, such as “Goodness” as such. We will have to disagree on the importance of creation ex nihilo in the order of your theology. The Christian Revelation is founded on a Personal Revelation (Holy Trinity), and that is where theology properly starts. When you start with morality, well you end up in a moral dialectic and the privileging of morality above Person (both God and man). Yes, in such a dialectic apokatastasis can mean only one thing, and Christ’s Incarnation can mean only one thing – an absolute and irresistible compulsion to the Kingdom. Of course, Personhood starts to disappear and look like an Orgenistic (Platonic) principle and philosophical simplicity in such a system. That by the way, is why DBH has to “naturalize” the human will and rhetorically accuse anyone who does not agree with him (such as St. Maximus who he erroneously enlists as support) as being some sort of modern “libertarian”. This is the Alexandrian School unchecked, and yes your “logic” is inescapable. God however, is not a “nature” (you should REALLY try to grasp this – God is not a “nature” in a created sense so to speak of “Divine nature” is not to speak of and philosophize from “nature” in the way we do with creation) and “one infinite life” (if you mean the Eschaton) is not subject to “logical necessity” of any kind – unless one is a Platonist first and a Christian second. I stand by what I said – IF God (and his “Goodness”) does not transcend a moral dialectic, then you do not need Christianity – you just need philosophy and neo-Platonism is a good place as any to start. You clearly have not intention of doing anything else. In any case, we are going in circles. You keep reasserting a moral dialectic (even claiming it to be THE Christian story) and I will never subject Christianity to such an limited and dreadful process. If I were ever to do that, well it would be offensive. Also I would like to add that I can’t speak for Hart in this statement but for myself and others who are of the Christian Universalist persuasion, I have no desire for the Church to dogmatize my eschatological position. At best myself along with many others would be far more thrilled if the Church by Council would declare it to be a “Mystery” so that these highly debated matters might be seen as matters of opinion. But it seems there are those who for whatever reason unknown to me are convinced that the Church has already dogmatically spoken in favor of Eternal Conscious Torment despite the overwhelming evidence it hasn’t. This is a great tragedy and only adds to further division among Orthodox Faithful who are equally committed to sanctified living and practice. Thank you for your discourse. I may not understand all the ins and outs of the discussion, but what you say makes perfect sense to me. What I have to do for myself and my sanity, is to remind myself that Jesus said He would draw (drag) all people to Himself, and that Paul said that one day God will be all in all, and that John saw everyone in heaven and earth and under the earth worshipping God, and just believe them no matter how mysteriously this will come to pass. I believe in my heart that God holds the trump card and somehow He will win every heart to Himself or else He is not able to overcome evil with good. But I believe that love is stronger than death. And that God can do the seemingly impossible. Thank you once again. Carol, just a quick reply from me. John did not see everyone worshipping God at the end. He was emphatic that there were some still outside the city of God (Rev. 22:15), and that the devil along with the beast and the false prophet would be cast into the lake of fire to be tormented day and night “unto the ages of the ages” (Rev. 20:10). The gates of the city will never be closed. That tells me it’s not the end and I can still hope that Jesus will be able to draw all people to Himself like He said He would. But I guess we will have to agree to disagree. Peace. I suppose we will have to agree to disagree. I can only share what I read from the Scriptures. That IS in the Scriptures though…..
Mike: sorry for the delay in replying; life often intervenes when one is blogging. It is unlikely that the phrase “its gates shall never be shut” can be understood in such a way as to overthrow the emphatic assertions elsewhere in the Book (e.g.14:9f, 20:10, 20:15,22:18f) that the ungodly and apostate are lost forever. As Mounce says in his commentary on this verse, the image builds on the thought of Isaiah 60:11 and shows that “the gates stand open because with the demise of evil security measures are no longer necessary”. It cannot be interpreted to mean that those cast into the lake of fire can somehow find their way back to the streets of the New Jerusalem. I definitely do not understand all the ins and outs of the story either lol. I think that is what many of us who cling to the Universal hope for all of humanity are willing to embrace. It seems if we are honest with ourselves and can become comfortable with the mystery of the age to come a certain level of maturity develops in our lives. I know for myself that has been my experience and I find myself being able to rub shoulders with the same people Christ seemed to be rubbing shoulders with so often namely sinners. Is it possible that the judgement to come is the judgement that has been made on the cross? “Father forgive them they know not what they do”? Does that statement only pertain to this age or does that action that occurred within time and space transcend time and space? I have confident hope that it is the latter. Glad you benefited from my comments as short sighted as they are. I think I am beginning to follow your arguments much better now. Are you saying our moral logic can’t be derived from Creatio Ex Nihilio but only through the Incarnation of Christ? It seems to be what you are saying. However I don’t believe these two are at all in conflict. We have definitely derailed from the primary topic of the blog. Perhaps we can get back to that? Perhaps you could spend some time deconstructing the actual arguments I’ve made on the why and how aionion in Matt. 25 translated eternal punishment is a mistranslated? Yes, you can not begin Christian theology from “Creatio Ex Nhihilio” (not that you actually begin there as I have pointed out) because Christianity begins BEFORE this, with the WHO (Holy Trinity) is doing the creating (and not one of His attributes, such as “Goodness”). The Christian story is a story, a Personal revelation and encounter and salvation and not an Orgenisitic philosophy where you can plug in moral priniciples/presuppositions and determine outcomes based on a dialectic. This leads to “determinism”, and universalism is nothing but a “determinism” (granted it is one people like because it appears comforting in that it appears to “solve” the problem of evil…until they realize what it means which is to stamp out the Personal Revelation of God, themselves, and Christianity). I don’t have the time (or the God given talent) to work out a theology now, but I am fairly certain this modern universalism is not possible in the understanding of Maximus and his Christology and anthropology, St. Gregory Palamas and his understanding of the “essence” (nature) of God as distinct from His attributes. In any case, Hart’s understanding begins with an Orgenistic understanding of God’s attributes/essence, proceeds through a moral dialectic, and ends in a determinism. Subject God (or anything else) to a dialectic and that’s where you end up, because that is what a dialectic does – it “determines” things (it “figures things out”). Hart is an excellent (beyond excellent – he might literally be the best in the world) dialectician, and thus he leans too heavily on his strength in trying to understand Christianity and so he comes up short. Ramelli and company indulge in a lot of verbal sleight of hand. The word kolazo/ kolasis is used to indicate punishing retribution as well as correction. Thus its use in Wisdom 19:4 where it describes the punishment of drowning the Egyptians in the Red Sea, and in 2 Maccabees 4:38 where it describes the final vengeance due to Andronicus. We see in Ramelli and others like her ideology triumphing over scholarship. Thank you for the reply, Lawrence, if i may call you that. Greetings in Christ Jesus our Lord, from Vancouver, B.C. You are correct re the word kolazo, at least as far as there are lexicons which speak in the same manner as you did. I don’t deny that what you said is a correct interpretation of the passages you listed, though i have yet to sufficiently study them myself. It is quite important for the non Universalism views of Scripture that kolazo not mean chastisement. If you are correct, though, Matthew 25:46 still allows a universalist interpretation in harmony with Scripture, since one possible meaning of the word is correction. Personally i find it difficult to say “all will be saved” is proven by the scriptures. I don’t see endless punishment “proven” either. But i believe in the ultimate reconciliation of all because it bears witness with my spirit. I believe. Likewise i don’t believe Christ died for my sins because Scripture says so, but that it bears witness with my spirit. to smoke “for ever and ever”? Re the word kolasis (Mt.25:46), Plato & Aristotle define the word as corrective before Christ. Clement of Alexandria & Aulus Gellius do so soon after Christ. And Philo (c.20 BC-50AD) did so as a contemporary with Christ. Moreover the context of Mt.25:46 supports correction as the – correct – interpretation (cf. Mt.1:21; 2:6; 12:31-32, for example). Philo also uses the words of our Lord in Mt.25:46, namely kolasin aionion, of finite duration. Rev.5:13 And every creature which is in heaven, and on the earth, and under the earth, and such as are on the sea, and all that are in them, heard I saying, Blessing, and honour, and glory, and power, be unto him that sitteth upon the throne, and unto the Lamb into the ages of the ages. All this being in the context of salvation – “the Lamb that was slain” (v.12 & 13). Perhaps the best way to respond would simply be to refer you to my more recent piece in which I examine the terms (such as kolasis) in greater depth. It is found at: https://blogs.ancientfaith.com/nootherfoundation/brief-word-eternal-punishment/ . It is important in interpreting the Book of Revelation to read it as part of a literary genre, rather to fixate narrowly upon possible meanings of words and then choosing a meaning that one prefers. A better way to proceed is to see how these concepts function within the literary genre itself, and when one does that it is clear that the punishments of the next world are indeed meant to endure forever. 1 Tim 6:16 is NOT dealing with God, the Father as you suggest – it’s speaking of Jesus and specifically states as much in that passage. Jesus aionion dominion is exactly that… aionion – not eternal, as declared in 1 Cor 15:28 “then shall the Son also himself be subject unto Him [the Father]” at the conclusion of the aions. So, as you can see – Jesus reign does indeed come to an end, and cannot be “eternal”. aionion is simply an adjective which describes an aion, or aions. Actually the passage IS referring to the Father and not to Jesus, since it describes Him as One “whom no one has seen or can see”, and obviously Jesus has been seen, both before His Ascension and after. It is the Father who dwells in approachable light and who will bring about the Second Coming of the Son. It is Father’s Kingdom–what Christ referred to as “the Kingdom of heaven”–which is eternal and unending. Jesus alone has immortality at this current time. Why would “immortality” apply to the Father who has never been subject to “mortality”? This passage is describing where Jesus currently RESIDES… the Light, which no man can approach, nor has seen, nor can see. The Father does not “dwell” in the Light – He IS the Light! I can only refer you again to pretty much every commentary on the passage ever written. Here perhaps I may just quote from Chrysostom, who writes of this passage as follows: “Pay heed to the accuracy with which Paul speaks. He did not say ‘Who is an unapproachable light’, but ‘Who dwells in unapproachable light’. Why? So that you may learn that if the dwelling is unapproachable, so much more so is the God that dwells in it”. I’m not a big fan of commentaries, but thank you for your comments. You’re very welcome. God bless you! What a fascinating thread I stumbled onto here! I thoroughly enjoyed all the points brought up and so I needed to add one here, with regards to the Gates spoken of in Revelation shall never be shut, which will be shut? Because the ungodly and apostate are forever lost, logically. But in Revelations 21, these same Kings of the Earth and walking into the City. How would that be if there wasn’t a chance for these Kings to be reformed? Thanks for all your comments here, I found them so engaging? Thank you for your irenic and thoughtful comments. When the Book of Revelation deals with the issue of judgment upon the world it makes the repeated and explicit point that those judged did not repent (9:20-21, 16:9, 16:11). From this it seems clear enough that the kings bringing their glory into the City were different men than the kings who were judged. In reading the Book of Revelation and the genre of apocalyptic literature generally, it is important not to import concerns and viewpoints foreign to those of author. The repeated and emphatic message of the Apocalypse is that men who die unrepentant are tormented eternally. That message is uncongenial today, but it is a part of the literary DNA of the genre, and those regarding the Book of Revelation as canonical are stuck with it, whether or not it is congenial to modern sensibilities. Let’s read all of 2 Peter: “By the same word the heavens and earth that now exist have been stored up for fire, being kept until the day of judgment and destruction of ungodly men”–2 Peter 3:7.